This lovely, antique finish of this handcrafted console blends perfectly with the natural color of the console´s hand hammered and hand tooled copper panels. 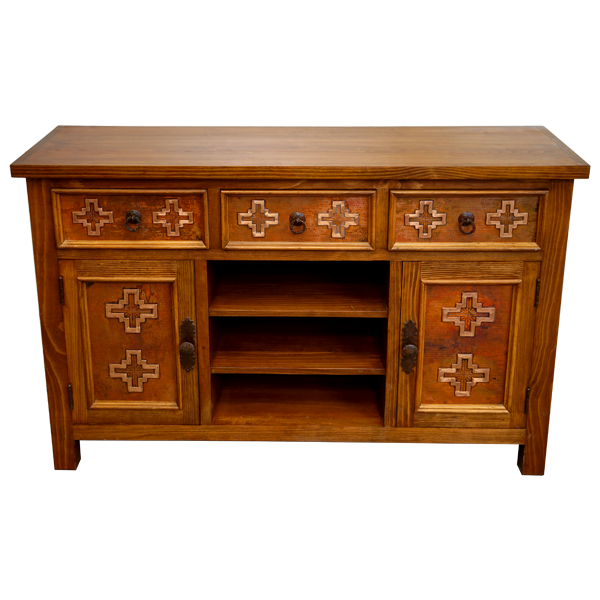 The console has three, horizontal drawers, and each drawer is embellished with a luminous, hand hammered copper panel. 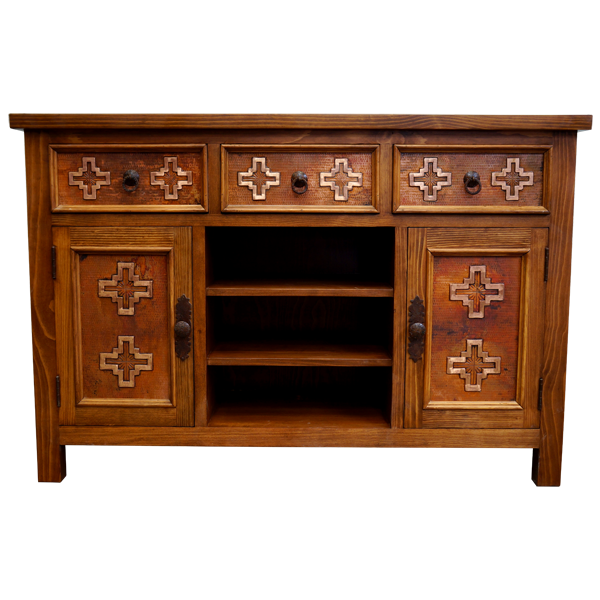 Centered in each drawer is a hand forged, iron, pull handle, and on each side of the pull handle is an exquisite, hand tooled, copper cross. 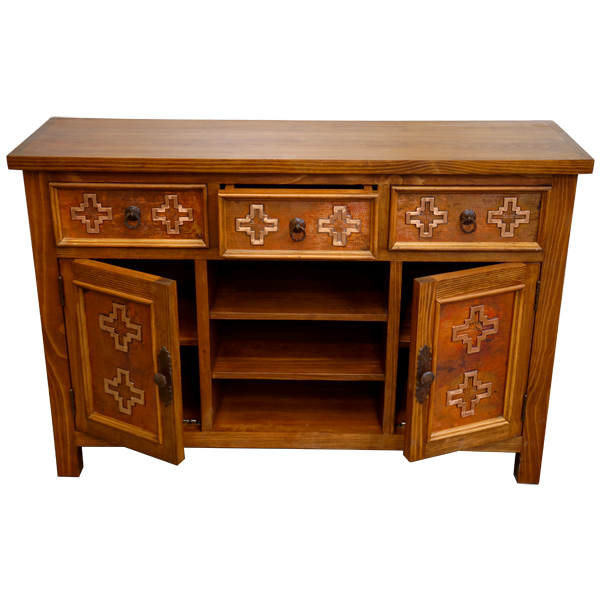 On each lower side of the console is a cabinet door, and each cabinet door has a beautiful, hand hammered, rectangular copper panel. Each copper panel is adorned with two, vertical, hand tooled copper crosses, and on each side of the cabinet doors is a hand forged, iron handle. Centered between the two cabinet doors are two shelves for practical storage, and the base of the console can also serve as an additional shelf. On each lateral side of the console is a decorative, rectangular cut panel, and the console rest on square cut feet. 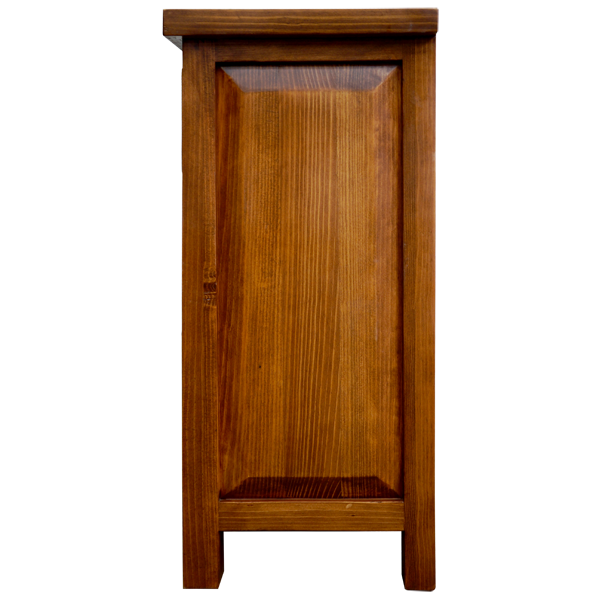 Made with the best, sustainable, solid wood available, it is 100% customizable.